134446623 –For introductory physical geology courses. 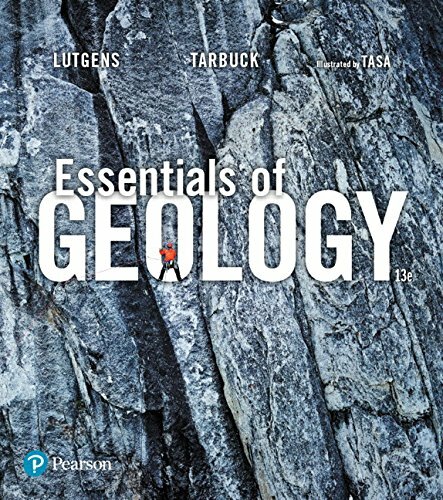 From the renowned Lutgens/Tarbuck/Tasa team, the13th Editionof Essentials of Geology continues to elevate the text’s readability, illustrations, and focus on basic principles. This revision incorporates a structured learning path and reliable, consistent framework for mastering the chapter concepts. With a fully integrated mobile media program that includes new Mobile Field Trip and Project Condor quadcopter videos as well as new animations and videos, this edition provides a unique, interactive, and engaging learning experience for readers. Essentials of Geology , 13th Editionis also available viaPearson eText, a simple-to-use, mobile, personalized reading experience that lets instructors connect with and motivate students — right in their eTextbook.Learn more.